Invoker Infographics: Lore, fun facts, most notable players, best/worst pick and much more! Invoker is truly a unique Dota hero, with not regular 4, but 10 spells to cast. Not only he is a very interesting hero to play but is also a very complicated one, and requires a lot of practice before you can actually dominate your games! Check out the infographics we made about Invoker for lots of lore facts and useful stats! In the current meta, a lot of things depend on the midlaner. More often than not, he acts as a playmaker for his team, and his actions shape the outcome of the match. Especially when it comes to equal matches. And even more so when it comes to Invoker and his ten spells up his sleeve, rendering him completely limitless. This is a difficult hero to play, but when mastered, he is very capable of carrying the matches all by himself. And this is exactly what the best Invoker in the entire world will do right now. His name is Miracle, and he and his team will be playing against team Evil Geniuses, during the group stage of the International 2018. In this game, Miracle is playing Q/E Invoker. Unlike the Exort Invoker, Q/W Invoker has an exceptional team fighting potential from the very start of the match and can rotate around the map lightning-fast, due to his Wex being maxed out. That feature has to be put to use as well, and that is what all of the players did in the matches we’ve reviewed. Constant pressure being applied to the enemy players has not only created a lot of space for the more greedy heroes on their teams but has also allowed them to seize more and more initiative and advantage over the enemy team in general. Invoker is no longer an inert farming hero, he is an actual powerhouse now. 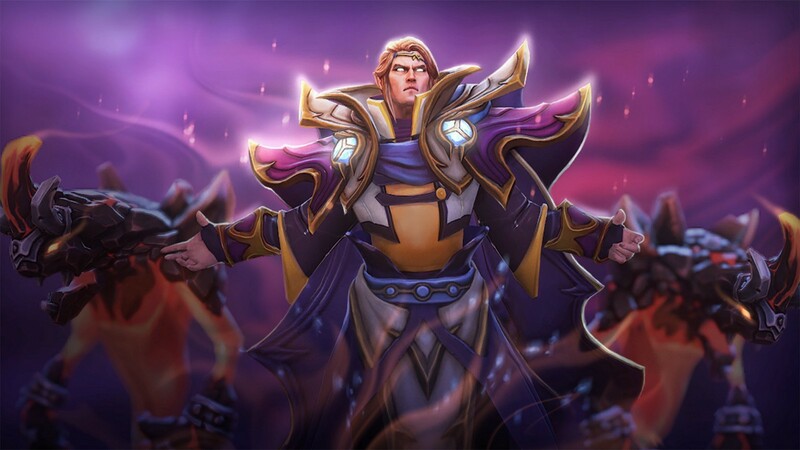 In this guide, a Na’Vi player, Magical, shows us how to play Q/W Invoker properly! Last updated on March 10th, 2019. To see the most recent stats on Invoker and other heroes, check out our Heroes Page!